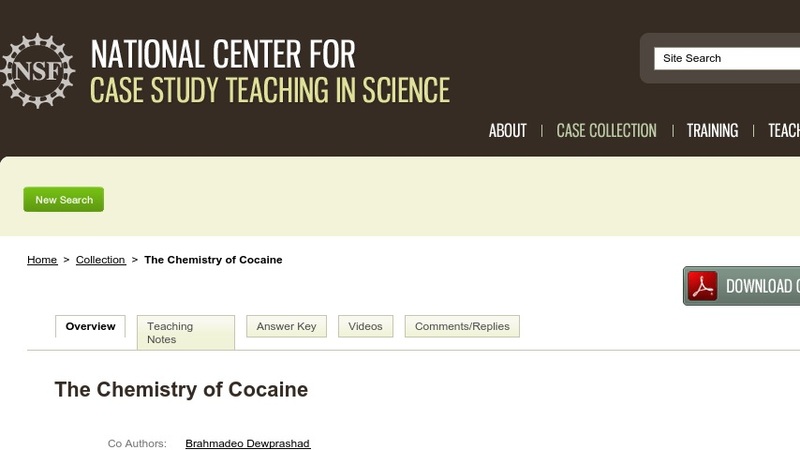 This case study on the chemistry of cocaine is in the form of a classroom discussion between a professor and her students about cocaine, its addictive properties, a search for an addiction treatment, and the chemistry involved in the synthesis of cocaine in its various forms. The case can be used to teach nucleophilic addition reactions, nucleophilic acyl substitution, and cocaine metabolism. In addition, it provides students with experience in locating, reading, and analyzing a research paper. The case was designed for the second course in a two-course sequence in undergraduate organic chemistry, but it could be adapted for medicinal chemistry classes.